Life insurance is important for many people and for many reasons. Death benefits can pay your funeral and burial expenses, which many people don’t pay ahead of time. They can pay your estate taxes at your death. Life insurance can simply provide an inheritance for your children. If you are a small business owner, death benefits can allow your business partners the ability to keep the business going after you die, or provide your family with a way to have cash for your part of the business instead of an interest in a company they know nothing about. But one of the most important reasons to buy insurance is to protect your loved ones in the event that you die before your time. How will your spouse survive with only one income or even no income? How will your children get everything they need? Who will pay for college? Who will pay the mortgage? Insurance can provide the protection and security your family needs to survive if you do not. 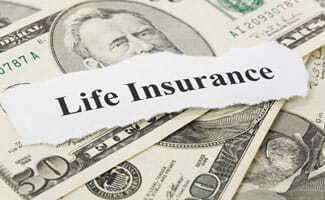 Is Life Insurance Only Used As a Death Benefit? These days, insurance isn’t only for protection, funeral bills, or extra-spending money for your children – it is an investment. There are many policies out there now that offer investment and growth opportunities, payment for your medical care, and/or the ability to borrow on the money you’ve invested. Life insurance is often just one piece of a person’s overall financial plan. Is There a Case Where I Might Not NEed Life Insurance? Do people depend on your earning capacity? If no, you probably don’t need life insurance. How much money do your dependents need for living expenses? If your dependents are all millionaires, they’re not going to need to depend on you for life insurance. You can analyze your dependent’s expenses and use that answer to calculate how much life insurance you may need. How much before your dependents become self-sufficient? That’s really the goal here. Life insurance isn’t here to make you all rich, you just want to ensure that your dependents and family are taken care of when you’re no longer around to take care of them. Take a look at earned income, property values, insurance plans, Social Security, and other inheritable benefits to see how much you might need to fill the gap. Here’s a video from CBS MoneyWatch that dispels 7 life insurance myths and helps you sort through this difficult question in under 2 minutes. How much life insurance you need depends on your income, your age, your family and your business circumstances. Obviously you need to be able to afford the premiums now, but you also need to make sure that the purpose of the insurance is fulfilled, and that your loved ones’ needs are adequately met. Think about what the death benefits will be used to pay; if you just need to pay for your funeral, you don’t need much insurance, and the premiums will be low. If, however, you have three young children all of whom need to make it through college, and you don’t want your spouse to have to return to work while your children are still young, you will need enough coverage to pay basic needs such as groceries, utilities, mortgages, braces, and college. The key is to find a balance between how much you can afford to pay in premiums now and the amount of benefits that you want to pass to your family upon your death. Do you currently have life insurance? If not, what’s holding you back or what are you concerned about?